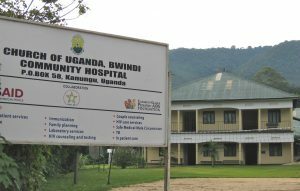 Bwindi only open its doors as a hospital in 2003. It is positioned close to the Bwindi Impenetrable forest to have access to the Batwa people who were displaced from the forest when the government decided the gorillas should be the only primates allowed to live there, regardless of the impact on the people displaced. This location means that the hospital is literally at the end of the road to the forest, which does not facilitate access to the rest of the district. The hospital does gain support from tourists who come to visit it, while coming to go on a trek to see the gorillas. Bwindi Community Hospital has a strong community focus and a vision to create a healthy community in the district, so they are keen to be out in the community with both preventive and curative services. 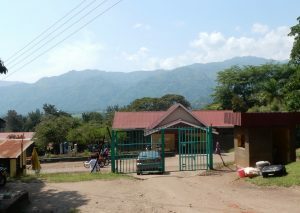 Kagando Hospital is a well-established Church of Uganda Hospital in the west of Uganda near Kasese. It is not far from the border with the DRC. The hospital was started in the 1960’s and has grown and developed over the years. They have two nursing staff trained in psychiatry and are wanting to increase the effectiveness of the mental health care they provide. 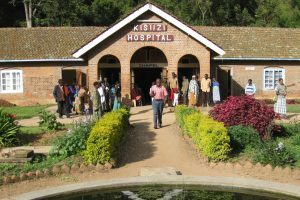 Kisiizi hospital is a long standing hospital in southwest Uganda near Kabale. It was the first of the Church of Uganda hospitals to start a mental health service in 1998, and to have an inpatient service for those with mental illness. They provide a good mental health service based on admission to the ward but so far have not been able to develop much work in the community as they would like. 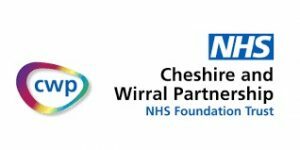 CWP staff have been working with the mental health staff at Kisiizi since 2010 on a multi disciplinary basis. This has included staff visiting in both directions and learning from each other. Staff from UK have been impressed by how much can be done with relatively few resources, and the consistently warm welcome all patients receive whenever they come to the hospital. The challenges and expectations are different in our two countries and the visitors have enjoyed the inter-cultural exchanges. Diversity Travel is supporting the new community mental health programme at Bwindi Community Hospital over the next three years, working closely with Jamie’s Fund. We are indebted to JMP Architects in Lancaster for all their work designing the new centre at Kisiizi and working with us to create a design that looks good and is appreciated by the patients and staff . The Jamie’s Fund logo was designed by Amanda Gray Makinson and we appreciate her skill, and the ongoing permission to use it. The cover design of the “Cooking with Panache” cook book was created by Eddie Vine and we are grateful for gift of this. Ed Lamb of Dupe Creations has creatively and willingly designed this website.